I had intentions to do a different kind of post today but my morning has been a bit different. 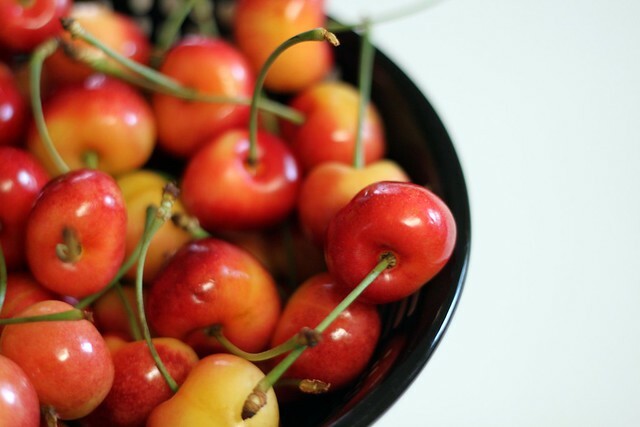 So instead, I’m giving you a picture that I took of a bowl of cherries. HA! You can actually read about these cherries on Crumbs & Creativity. And with that bowl of cherries, I wish you a happy weekend. I’ve got a lot of things on my 33 in 33 for 33 list to take care of and I’ll give you an update next week.